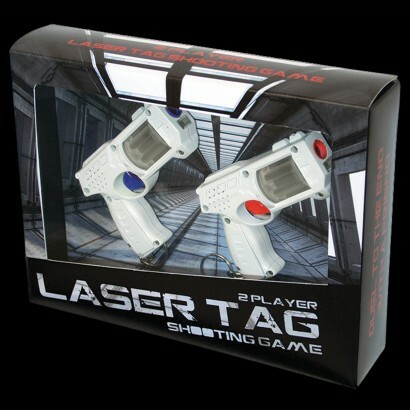 Bring all the fun of the laser shooting arcade and shoot, battle and zap your opponent for hours of endless fun with the laser tag shooting game. 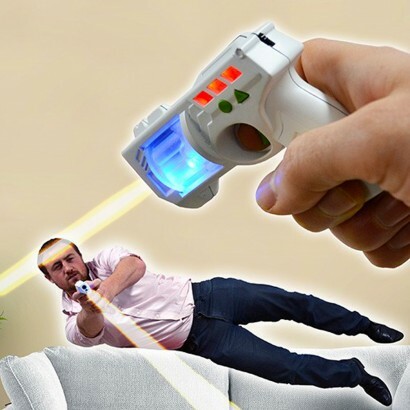 Two mini laser guns come equipped with sensors, reset and reload functions so that your own front room becomes a virtual battle ground! Shoot your opponent eliminaing their six lives to become the ultimate laser tag champion and reign supreme over lesser laser warriors.